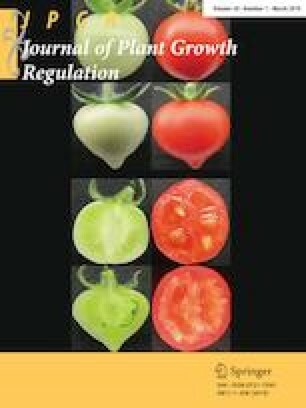 Tartaric Acid Mediated Cr Hyperaccumulation and Biochemical alterations in seedlings of Hordeum vulgare L.
The present study was done to evaluate the effects of tartaric acid (TA) amendment on physiology of Hordeum vulgare L. seedlings under Cr(VI) stress. Cr(VI) at higher concentrations decreased the shoot and root dry weights of seedlings. However, amendment of Cr(VI) media with TA enhanced the root and shoot dry weights, activities of antioxidative enzymes (ascorbate peroxidase, guaiacol peroxidase, superoxide dismutase, catalase, and glutathione reductase), and contents of pigments (total chlorophyll and carotenoids). Cr(VI) also increased the malondialdehyde content, an indicator of lipid peroxidation and stress. However, application of TA in combination with higher concentrations of Cr(VI) reduced the malondialdehyde content. Amendment of 0.5 mM Cr(VI) with 1.5 mM TA increased the Cr uptake content in the roots of the seedlings by 208.7% with respect to treatment with 0.5 mM Cr(VI) only. The shoot and root bio-concentration factors (BCF) were enhanced with the application of TA to culture media. Further, the results were statistically analyzed by employing various multivariate techniques such as analysis of variance, multiple regression analysis, beta regression analysis, correlation analysis, principal component analysis, factor analysis, non-metric multidimensional scaling, canonical correspondence analysis, and two-block partial least squares. The present study confirmed that TA acts as an antagonist to Cr(VI) in the seedlings of H. vulgare by increasing their antioxidative potential and enhancing their capability of chromium accumulation. The present study also suggests that multivariate techniques, which are mainly applied for data analysis in the field of ecology, can also be applied for experimental biology studies. The online version of this article ( https://doi.org/10.1007/s00344-019-09959-0) contains supplementary material, which is available to authorized users. The authors are thankful to the University Grants Commission, GOI for providing financial assistance in the form of the major research project and UGC-BSR fellowship to MS.